One of the things I often do when I’m planning a new book is watch a handful of films to get me thinking about what I’m looking for in terms of atmosphere or general mood. 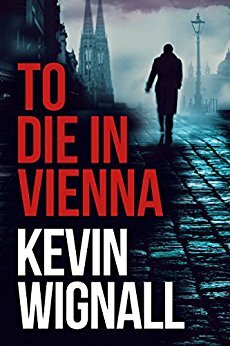 So as soon as I knew To Die in Vienna was going to be a surveillance thriller, it gave me the perfect opportunity to revisit some of the great surveillance and conspiracy thrillers of the past, some of which stood up to the test of time, others less so. Here’s my pick of some of the most noteworthy in the genre – I hope you agree with me. Francis Ford Coppola’s masterpiece about a civilian surveillance contractor (Gene Hackman) who fears a couple he’s watching are going to be murdered. I hadn’t seen this since I was a teenager, but if anything, it’s even better now, and beautifully constructed. 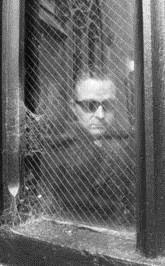 We see Hackman slowly piecing together what’s going on, even as his own personality seems to be unravelling. 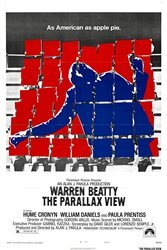 Part of Alan J Pakula’s “paranoia trilogy” (alongside Klute and All the President’s Men) and starring Warren Beatty, this is a superb thriller, full of memorable set-pieces. It focuses more on conspiracy than surveillance, but it creates an unsettling sense that your life is being monitored and orchestrated, right to the very end. Another conspiracy thriller, directed by Sydney Pollack and starring Robert Redford. This time though, it’s Redford’s character who uses his past signalling experience to spy on the people pursuing him. 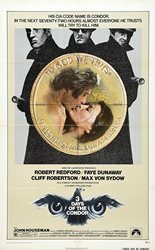 Another film I hadn’t seen since I was young, I was surprised by the “relationship” between Redford and Faye Dunaway which is alarming by modern standards, but as a thriller, this is hard to beat and you’ll see echoes of it in everything that’s followed, right up to and including the Bourne films. After a purple patch for paranoia in the 70s, we have to leap forward nearly two decades for the next on the list (were we not paranoid in the 80s, or were we distracted by other things?). This is Redford again, as the leader of a white-hat hacking group who’s hiding from his past as a 70s activist. It’s a light-hearted thriller, including a fair amount of comedy, but ahead of its time in many ways, as well as harking back to the earlier films I talk about above. 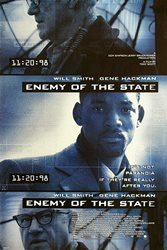 And another veteran of the 70s paranoia films appears in this Will Smith vehicle directed by Tony Scott. 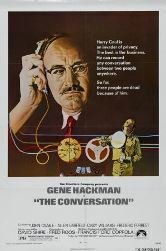 Gene Hackman is essentially a 90s reincarnation of his character in “The Conversation” – and again, in a nod to the earlier films, Hackman is the paranoid intelligence veteran who tells Smith that he’s not nearly paranoid enough (a baby-boomer warning to those of us in Generation X?). 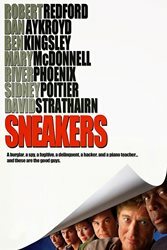 It’s a very 90s film (loud, brash, slightly tongue in cheek), but it captures perfectly the fear of the person who’s been followed and watched. But if you want a serious exploration of how it feels to watch or be watched, this German winner of the Best Foreign Language Oscar is the one to beat. A surveillance operation by the Stasi in East Germany is followed from both sides in a tense and ultimately incredibly moving film. I saw it not long after it came out and wasn’t sure it would hold up to a second viewing, but again, it was even better second time around. As an aside, when my book sold to Focus Features I heard that this is the favourite film of the leading exec there, and it was a resonance between my book and this film that made him determined to buy the rights. 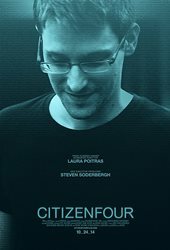 I also saw this documentary about Edward Snowden just after its initial release and thought it would be crucial to watch it again before I started writing. It’s fascinating, and definitely worth a viewing, but despite the recent release date (and the fact that it’s non-fiction), I felt this had dated more than most of the others on my list. The characters involved think the world will revolt when they realize how much they’re being scrutinized by the security services, but thanks to social media, the wider population seems incredibly blasé now about their private details being public property. As if to prove that point, despite the recent Facebook scandal, only one of my friends closed their account – it’s hard to be paranoid when you’re sharing everything anyway!